Through the years, Fred has taught others interested in creating and/or protecting physical and cognitive health. This has now led to the publication of a new book titled Choosing the StrongPath: Reversing the Downward Spiral of Aging. Fred co-authored the book with Steven Droullard and Dr. Marni Boppart. HealthCentral interviewed the authors by email about their enthusiastic approach to exercise as the way to stay sharp physically and cognitively. Before moving to our questions, however, we’d like to provide a short introduction to each of the authors. Fred Bartlit is a highly regarded attorney, selected by President George W. Bush to represent him in the “hanging chad” trial, and by President Obama to be his chief counsel for the National Commission on the BP Deepwater Horizon Gulf of Mexico oil spill. Fred has been on the StrongPath for 34 years and is known for his skiing prowess even at age 85. Steven Droullard is author of The Power of Attention and a faculty member at the University of Philosophical Research in Los Angeles. He is also chief business advisor to William R. Hearst II. Steven has been on the StrongPath for 12 years. 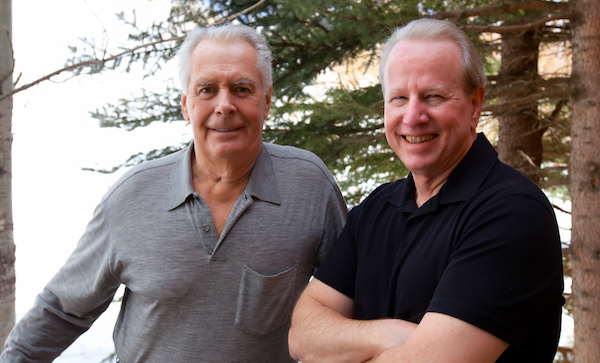 Fred taught Steven the powerful impact that serious strength training has on physical and mental fitness. Marni Boppart Sc.D. is an associate professor in the Department of Kinesiology and Community Health and is full-time faculty at the Beckman Institute for Advanced Science and Technology at the University of Illinois, Urbana-Champaign, where she heads the Molecular Muscle Physiology Laboratory. 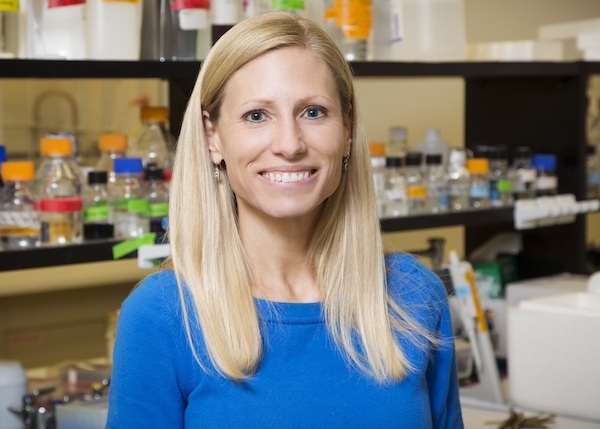 Her research interests include cellular biomechanics, cell signaling, and the role of extracellular matrix proteins in the protection of skeletal muscle from injury, disease, and aging. These questions are answered by one or more of the authors, with each author’s answer being identified by his or her initials. The interview has been edited for length, flow, and clarity. HC: The words sarcopenia and frailty are prominent in your book. Frailty is a word that is often used by doctors for people who are aging poorly, and this includes those in later stages of Alzheimer’s, or those who are simply very old. Yet, in StrongPath, you say that few doctors use the word sarcopenia. What is sarcopenia and is it interchangeable with frailty? SD: The terms are related, but not interchangeable. Frailty is age related and encompasses exhaustion, weakness, and slowness, whereas sarcopenia is more strictly focused on loss of muscles mass and function related to the effects of disease, starvation (sometimes in the form of extreme dieting) and disuse. The recent dramatic increase globally in sedentary behavior in all age groups – not just the old – is seriously accelerating the process of sarcopenia. Sarcopenia usually precedes frailty. Over time the conditions overlap. We currently wait until individuals are frail and becoming seriously disabled before healthcare begins addressing the problem. If a person’s strength is in decline, at any age, it is time to act. HC: Because our audience is focused on how to prevent Alzheimer’s and other types of dementia, or even reverse mild cognitive impairment or early Alzheimer’s, could you address how your program helps prevent not only frailty and issues such as frequent falls as we age, but how you feel it will help protect the brain? FB: Numerous recent research studies conclude that the chances of Alzheimer’s are significantly reduced by intense physical exercise. While the precise mechanism for the protective effect of exercise is not yet fully known, it is likely the result of evolution. A leading Harvard scholar has explained that every cell of our bodies—muscle, brain, nervous system—was selected 50,000 years ago for success in a world of intense physical activity. This makes it likely that our brains will function better under physical activity than in today’s sedentary world. Better brain functioning will likely lead to less Alzheimer’s. SD: As muscles decline so does our neural network. Several studies have looked at the effect of strength training specifically on cognitive impairment and Alzheimer’s. As muscle power decreases signs of cognitive impairment seem to increase. The opposite is also true. A study of older women found that increasing muscle strength was associated with an improvement in attention and working memory. Another found that if muscle strength increased as a result of training, from the time cognitive impairment was detected, the risk of developing Alzheimer’s fell. It further noted that an increase in muscle strength was associated with a lower rate of decline in global cognitive function. A large portion of our nervous system is dedicated to movement. As muscles move, develop and grow stronger, so does our nervous system. In 2017, the Alzheimer’s Association and the American Academy of Neurology approved new guidelines for the prevention and treatment of cognitive decline. The authors stress that no high quality long-term studies have found any foods or medications that help cognitive decline. Cognitive exercise studies have been inconclusive. What has worked is resistance exercise twice a week and bi-weekly classes of aerobic, strength training, balance exercises and multitasking training. This is what they now recommend. HC: While professional help with strength training is likely going to bring the most satisfying results, do you feel that people can gain inspiration and some practical tips about regaining their health on a more moderate level by using the routines in StrongPath as a guide? In other words, is this all or nothing program in your view? Dr. MB: The fact that so many people are incurring degenerative-type diseases, such as cardiovascular disease and diabetes, means we must try to reintroduce exercise and proper nutrition into our lifestyle again, and we need to do it immediately. Exercise releases many beneficial circulating factors that not only impact the muscle itself, the local tissue environment, but also benefit the central nervousn system, the liver, the GI tract, and other organ systems. In all the years I have spent studying physiology and health, I am convinced that exercise is the only mechanism that will allow for maintenance of health through the life span. There isn’t any other option. We need to incorporate both endurance and strength training into our daily lifestyle. Does that mean that you must go to the gym every day or every other day? No. There are many easy ways to incorporate physical activity into the day. HC: Fred, you are the face of this project considering that you have been on what you call the StrongPath for 35 years and, at age 85, you are skiing challenging slopes without a thought to your age. Do you believe that this program of strength training is realistic for some who is, say, 70-years-old and in relatively poor shape to safely undertake? FB: Dr. Roger Fielding, a Sarcopenia science pioneer, advises that exercise training—particularly strength or resistance training—can help preserve muscle strength and mass even in very old, frail individuals. I will be 86 this year and am breaking lifetime strength records with frequency. Of course it is always a good idea to check with your physician.